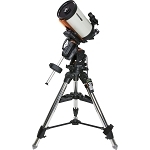 The CGE Pro 925 HD combines Celestron's state of the art CGE Pro Computerized Equatorial mount with its new EdgeHD optical system. With over 9 inches of aperture and our premium StarBright XLT coatings, the CGE Pro 925 HD gives you over 1000 times the light gathering power than the unaided eye. 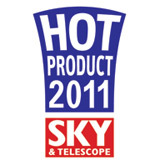 The EdgeHD 9.25" optics produces a focal plane almost 9 times flatter than the standard equivalent SCT telescope with diffraction limited stars across the entire SBIG STL11000 field of view! 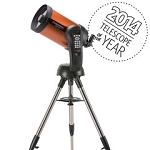 Axiom Eyepiece - EdgeHD 9.25" optical tubes come with Celestron's top of the line Axiom eyepiece. With a 23 mm focal length and 82° AFOV, you get an incredible combination of power and wide field of view. Plus each Axiom eyepiece is optimized to deliver pinpoint images when used with a flat field telescope. 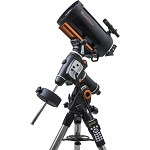 For more information about Celestron's new mount, go to the CGE Pro mount web page.